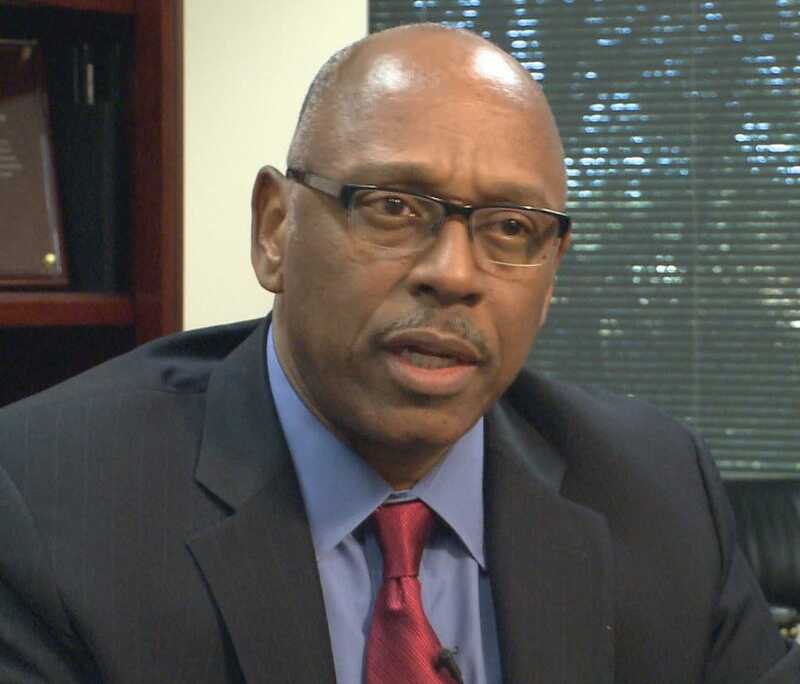 ATLANTA (WXIA) -- Officials in Chicago confirmed Thursday morning that DeKalb County Police Chief Dr. Cedric Alexander is one of three finalists for the open police superintendent position in the nation's third largest city. DECATUR, Ga. — SWAT teams are responding to a Decatur apartment after authorities say a suspect from an armed robbery is refusing to leave. The standoff is currently going on at the Waterford Manor Apartments in the 4000 block of Covington Highway. 11Alive has reached out to police, but have not heard back yet. We have crews on their way to the scene. This is a developing story. Please check back often for the latest details. DECATUR, Ga. -- An Avondale Estates officer who fatally shot a man in 2013 won't face charges, DeKalb County District Attorney Robert James announced on Friday. On Jan 18, 2013, Sgt. Lynn Thomas shot and killed 23-year-old Jayvis Benjamin during a struggle near the corner of Lakeshore Drive and Kensington Road, authorities said. An investigation by the DeKalb County District Attorney's Office determined that the shooting was justified. The investigation included reviews by the Georgia Bureau of Investigation and an outside expert with more than 30 years of law enforcement experience, acccording to DeKalb County District Attorney's Office spokesperson Marcus Garner. 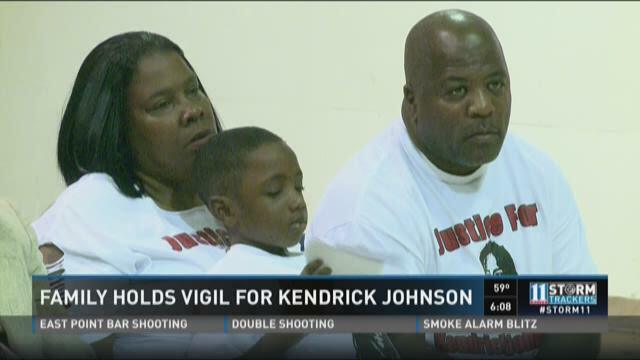 Benjamin's family had asked the district attorney to file criminal charges against the officer. DECATUR, Ga. -- A local family cannot understand why a church will not help their disabled daughter get inside. 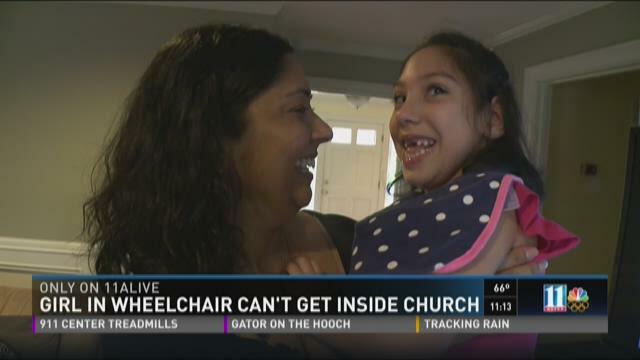 The 7-year-old uses a wheelchair and her mother told 11Alive's Kaitlyn Ross she thinks the church could fix it at no cost, but they refuse to help. DEKALB COUNTY, Ga. -- Water leaking from a tower in DeKalb County began spilling into yards on Wednesday. The leak happened at a water tower on Mason Mill Road near Clairmont Road. County spokesperson Shiera Campbell said a computer malfunction between the large tank and the main water facility led to the leak. "When it lost communication, it didn't have anything to tell it to stop flowing, and it started to overflow," said Campbell. 11Alive's Donna Lowry reports that crews were able to repair the leak by 2:45 p.m.
Before the repair, footage from SkyTracker 11Alive showed water spewing from the tower onto the ground below. Water was also seen rushing out of the storm drains onto the street. DECATUR, Ga. -- Loved ones came out Saturday to celebrate the life of a man who died last August during an encounter with DeKalb police. The commemoration was called "Troy Day" in honor of Troy Robinson. DECATUR, Ga. – A DeKalb County jury found a day laborer guilty of fatally shooting one man and injuring another in 1996. Juan Cortez Mondragon, 44, was convicted of malice murder, felony murder and aggravated assault charges for the Aug. 8, 1996 shooting death of fellow day laborer Carolos Perez. 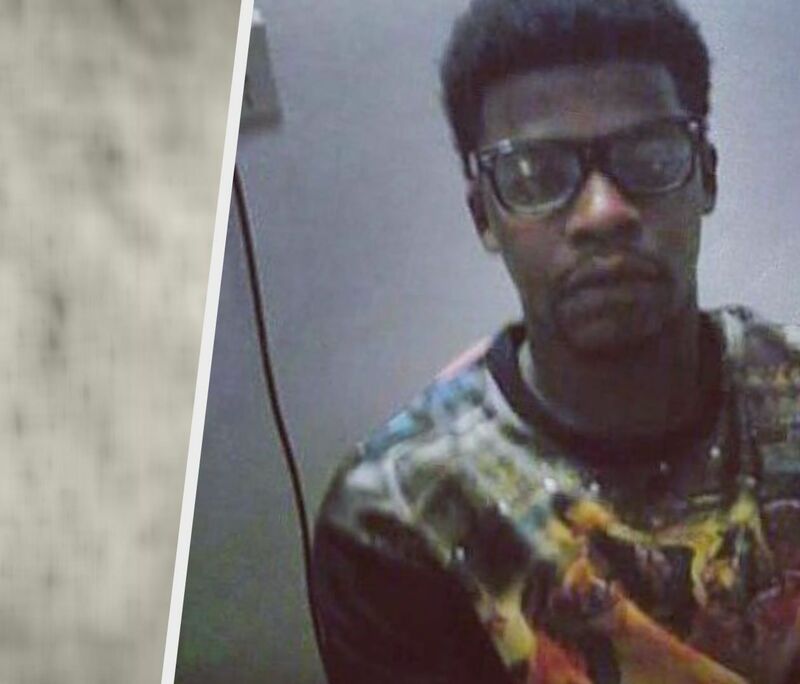 Perez, 29, was shot three times at an apartment off Shallowford Road, outside Atlanta. Mondragon shot a second man twice. Mondragon then fled to Texas and changed his name. But in 2014, he was arrested on driving while intoxicated charges, and police fingerprinting revealed that he was wanted on murder charges in DeKalb County. The surviving victim and a man who drove Mondragon to the scene of the shooting both testified for the prosecution in the trial. After closing statements, a jury deliberated for over 2 hours before delivering guilty verdicts on all counts. DECATUR, Ga. – Police have filed charges against a DeKalb County woman who shot a man she said broke into her home. The incident happened inside a gated apartment complex off of Woodberry Place on Tuesday. The woman, who asked to remain anonymous, said that when she got home from work around midnight, a man was trying to aggressively open her door. The woman said that she and her husband opened the door and the man began "talking out the side of his head." Around 2:35 a.m., the woman said she was awakened by a loud noise. When she got up to check, she said the front door of her home was kicked in. The woman that as she went to retrieve her gun, she came face-to-face with the man in her closet. At that time, the woman said her husband fired a shot at the man. The woman said the man fell on the floor and then took off.